Edmund F. Murphy III to tackle the U.S. retirement savings challenge as president of one of the largest providers in the U.S. defined contribution market. Great-West Financial has named Edmund F. Murphy III as president of the firm’s combined retirement organization effective immediately, the firm announced Wednesday. Great-West’s combined retirement organization – which recently acquired the J.P. Morgan Retirement Plan Services’ large-market recordkeeping business and currently is integrating the retirement business of Putnam Investments – is one of the largest providers in the U.S. defined contribution market with nearly 7 million participants and more than $400 billion in retirement plan assets. 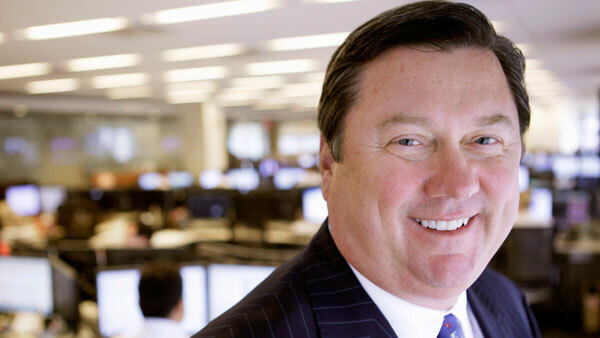 Murphy has held a series of senior executive positions in the retirement and asset management industries over his 30-year career, including nearly 20 years at Fidelity Investments and most recently as the head of defined contribution at Putnam Investments since early 2009. In Murphy’s prior position at Putnam, he helped launch a defined contribution platform for advisors and plan sponsors that provides flexible and scalable services, advanced technology and customized plan designs for advisors, consultants and their plan sponsor clients in every segment of the retirement market. As president of Great-West’s combined retirement organization, Murphy will report to Reynolds and will serve every segment of the employer-sponsored retirement plan market: small, midsize and large corporate 401(k) clients, government 457 plans and non-profit 403(b) entities, as well as private-label recordkeeping clients. “The expertise and capabilities we are bringing together within Great-West Financial is the most impressive combination of talent and focused energy that I have seen over my three decades in the financial services industry,” he said in a press release. Great-West Financial acquired J.P. Morgan Retirement Plan Services on Aug. 29. Based on total participant accounts and total premiums as of Dec. 31. Great-West is the nation’s second-largest retirement plan recordkeeper and the second-largest underwriter of life insurance sold through banks. Putnam’s Reynolds to Head Great-West Lifeco U.S.